The Eleaf iStick 30 Watt is a sub ohm device that is easy to use, comfortable to hold and delivers all the features a vaper could need! 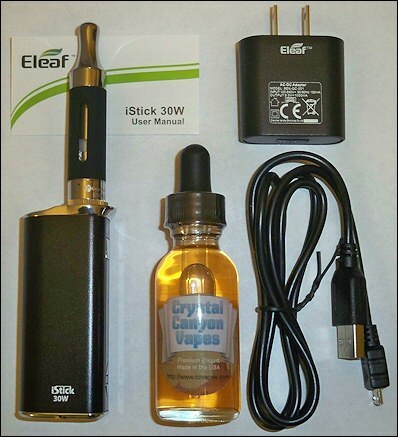 The iStick 30 has a working power range of 2 volts to 8 volts or 5 watts to 30 watts. The iStick can operate with tanks and RDA's with resistances ranging from .40 ohm up to 5 ohm. 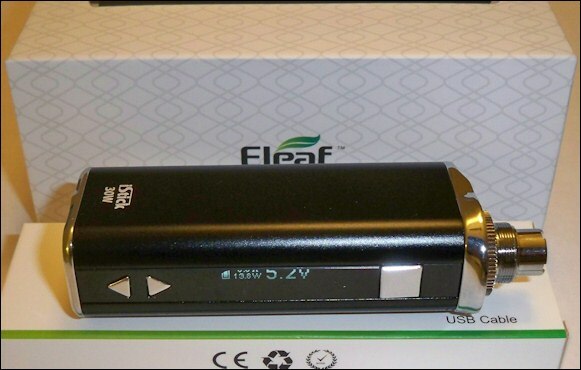 The 2200 mah battery provides a good amount of vaping time and can be recharged from your computers USB port or wall outlet. Whether you use standard resistance clearomizers or sub ohm, the iStick is small, light and delivers the power you need. This kit comes complete with the iStick, 30ml bottle of eliquid, wall charger, USB cable, Evod II dual coil clearomizer and a 510 to Ego adapter. 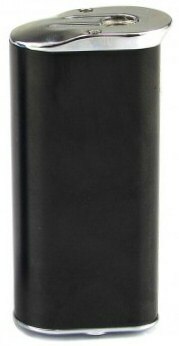 The Evod II has a replaceable bottom dual coil 2 ohm head, removable drip tip and holds 1.6ml's of juice.